It is hard to see in this picture…but the blouse is pink! I do not really wear pink and I realized recently that I need a pink blouse for a special occasion. Next week is the gender reveal for my grandbaby…we have been asked to wear the color representing the gender we think our baby is. While I could wear blue all day long, I really believe deep down…this one is a girl. 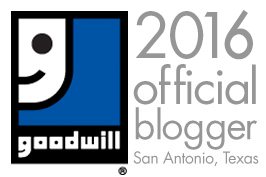 So, off to my favorite treasure shop I went…GOODWILL SA. I found this floral blouse in pink in a wonderful cotton. 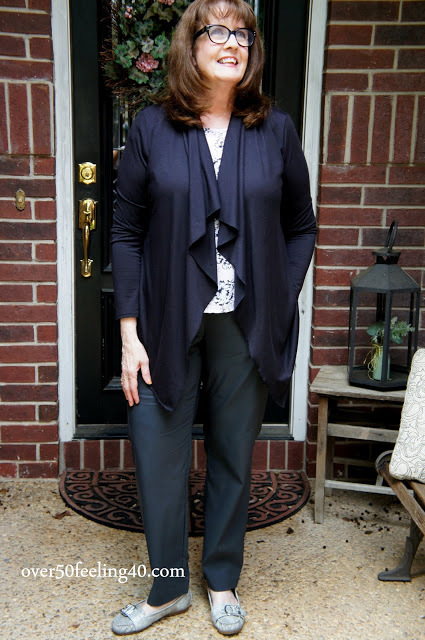 And, I always find bonus treasures…and this cardigan was a bonus…with tags still on. 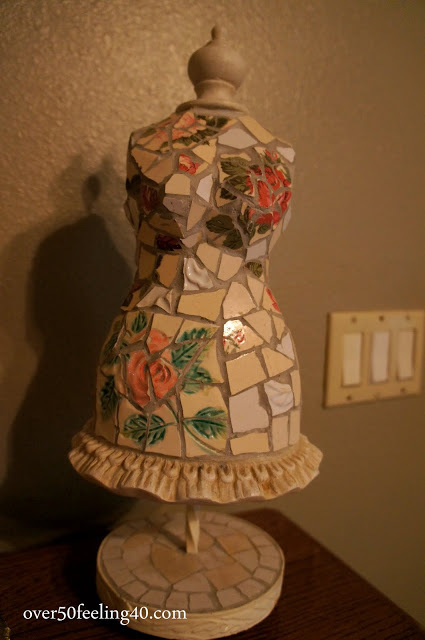 Another bonus… this lovely, tile dress form…I loved it! Some of my favorite home decor has been uncovered at Goodwill. Regular readers know I am an avid fan of our local Goodwill in San Antonio. The real bonus is ALL THEY DO FOR OUR COMMUNITY…job creation, job training, and support for our veterans. It is a first class organization. Plus, I love a great treasure hunt! (Will tell you next weekend if I should’ve worn blue!) 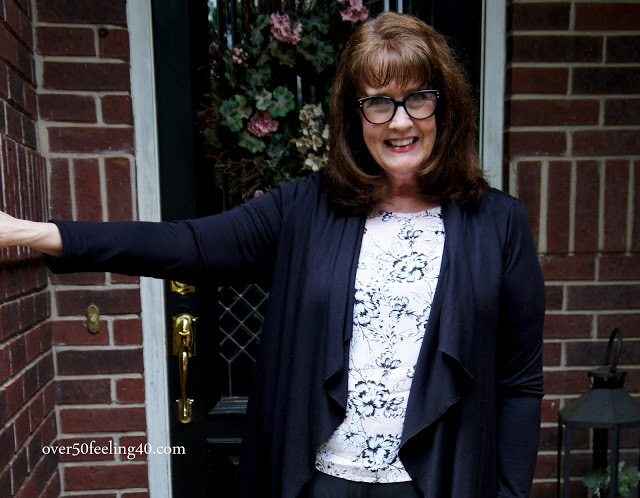 Watch for Hit Your Style Sweet Spot on Sunday as Jennifer and I discuss New Beginnings! Disclaimer: I was provided gift cards for shopping at Goodwill, but the words are my own. Items were discovered at the Goodwill located on Highway 281S at the Bitters Exit. You look fabulous! I need to start the thrift store shopping as we have about 10 in our small town and everyone raves about them all. Thanks for inspiring me to go find some treasures. Big fan of pink here…I think it is a color that flatters everyone once you find your shade. You have such good luck at your Goodwill! Congratulations on the new addition, whatever the gender! How exciting about a baby coming. And that top photo where you're looking into the camera is super cute. Very exciting — no matter if it is pink or blue! All best! Love this outfit and have never thought of shopping Goodwill. And that tile dress form is great. Congratulations on the new one. I like your style, supporting Goodwill too! Thanks for the inspiring post. A new grand baby! How exciting! Love the cardigan! I need to thrift more. Thanks for the reminder!